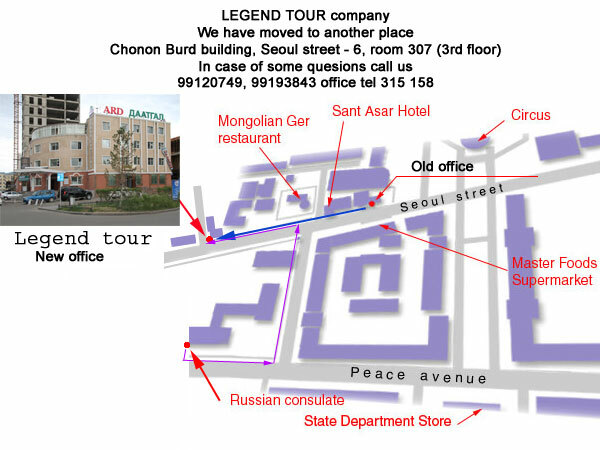 Travel company Legend Tour Co.,Ltd. Contact form. Our address: near the Russian embassy (back side of the embassy). You should cross the Seoul street , on the building it is written "Chonon Burt Tov". Go upstarts to the 3rd floor, to the room N307. Saturday -Sunday - days off.